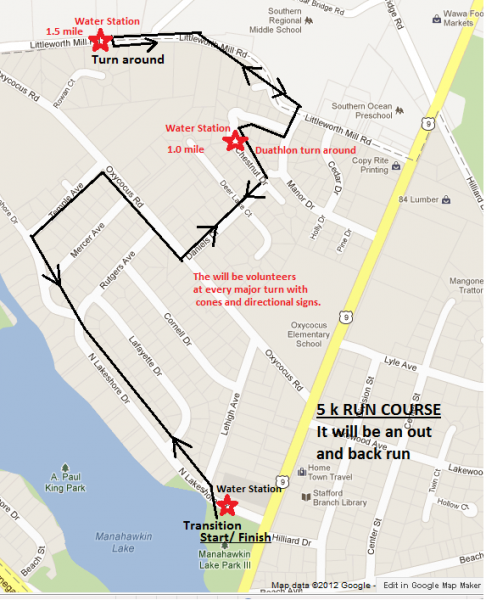 Register for the Stafford Run for HOPE 5k/Triathlon/Duathlon/Aquabike # today! POST RACE PARTY/AWARDS TO BE HELD AT MANAFIRKIN BREWERY (less then 1 mile from race site). Drinks specials and post race food will be provided. 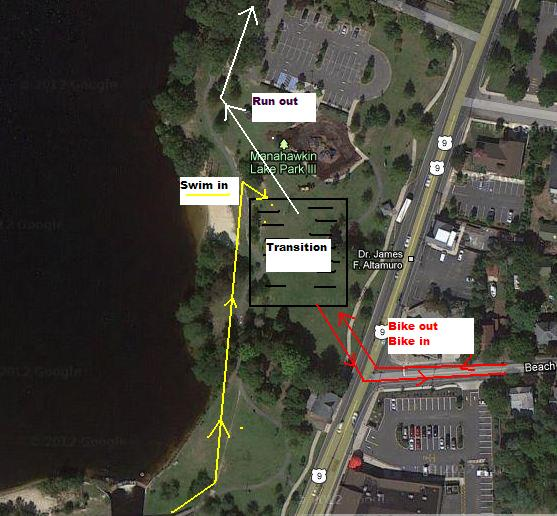 Manafirkin's address is 450 E Bay Ave, Manahawkin, NJ 08050. 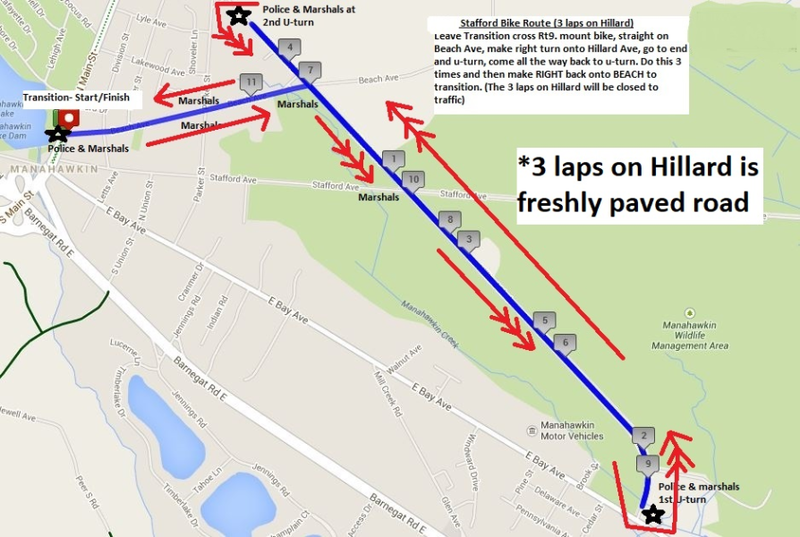 Bike course update- 3 laps on Hillard is freshly paved and smooth. 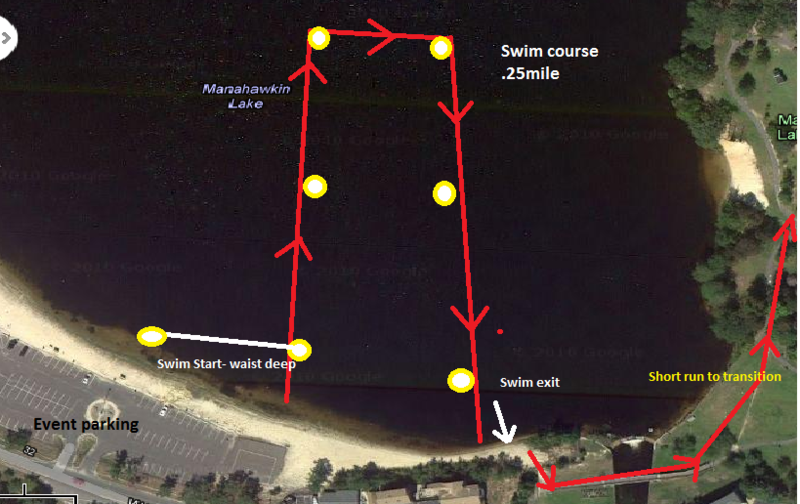 The Triathlon, Duathlon and Aquabike will start at 7:00am sharp. The Run for Hope 5k will start at 7:30am. Stafford Township is located just minutes from beautiful Long Beach Island. Come down, race and enjoy a nice weekend on the white sandy beaches of LBI before summer gets into full swing. The Stafford Race course is flat and fast. The swim is in a deep fresh water lake. 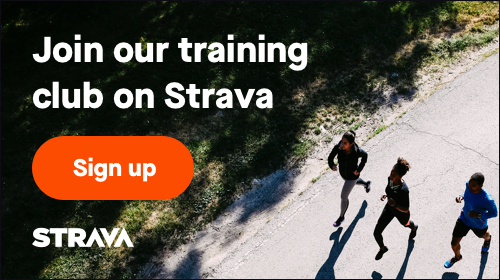 The bike course will be fast and mostly flat. (When the bridge construction is complete, we hope to add it back to the bike course.) The run takes you along the lake road through the quiet neighborhood of Deer Lake Park. The run is an out and back course so you can keep an eye on and track down your competition. You don't want to miss this event. The 5k run that will consist of the same 3.1 run course that the multisport athletes are using that winds you through the lovely neighborhood of Deer Lake Park. This race is for all ages and abilities. The proceeds from the 5k will be benefiting David’s Dream and Believe Cancer Foundation. The swim is in a fresh water lake. is conveniently located directly across from race site overlooking the lake but make your reservation early, they get busy at that time of year.